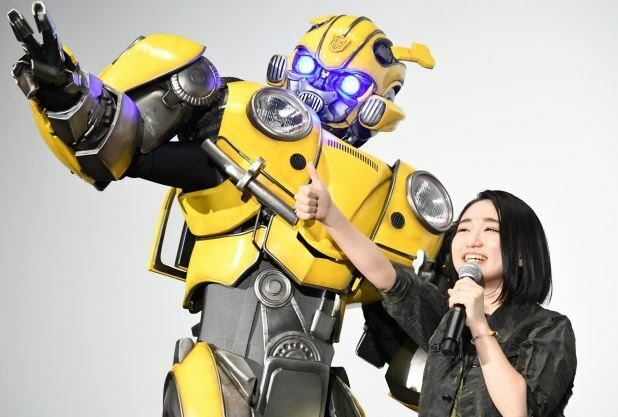 Our fellow Transformers fans in Japan are now finally able to enjoy the Bumblebee movie in wide release. As part of several related events this week, members of the voice cast including Tsuchiya Tao (Charlie), Shison Jun (Memo), Yuki Aoi (Shatter), Hamano Daiki (Dropkick) & Ryohei Kimura (Bumblebee) attended a special screening in Tokyo’s Roppongi Hills and you can play a video of their on-stage greetings after the jump! can I get Bumblebee to come out and make an appearance at my party ?